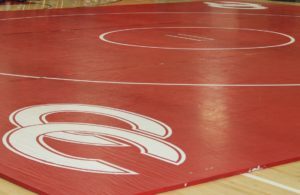 Five members of the Coffee County CHS wrestling team will compete in the TSSAA state tournament which begins on Thursday. The state tournament will take place at the Williamson County Agricultural Exposition Park in Franklin. The boys weigh-in will take place at 1 PM on Thursday with wrestling getting underway at 3 PM in the first 2 rounds. Tickets for the event are $10 daily with a parking charge of $5 per car. Red Raider wrestler Brett Francis, who will compete at 120 pounds, will wrestle in Match #39 against Tristen Entwistle of West Creek High School in Clarksville. Jesse Smith, wrestling at 145 pounds, will wrestle in Match #103 against Joseph Frye of Science Hill High School in Johnson City. Rey Reyes, wrestling at 182 pounds, will wrestle in Match #161 against Dylan Jones of Cleveland. Chris Speagle, wrestling at 220 pounds, will wrestle in Match #208 against Zachary Phillips of Bartlett High School. Lady Raider wrestler Mary Anne Walker, fighting in the 125 class, will open against Kaylee Hayes of Gibbs High School. The boys weigh-in will take place at 1 PM on Thursday with wrestling getting underway at 3 PM in the first 2 rounds. Wrestling continues on Friday at 10 AM with the championships on Saturday. 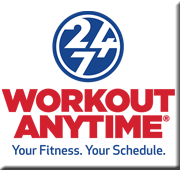 Lady Raider wrestler Mary Anne Walker will weigh-in at 8:30 on Friday and her first round match will be at 10 AM on Friday morning. The girls’ championship will also be held on Saturday beginning at 10 AM. Tickets for the event are $10 daily with a parking charge of $5 per car.